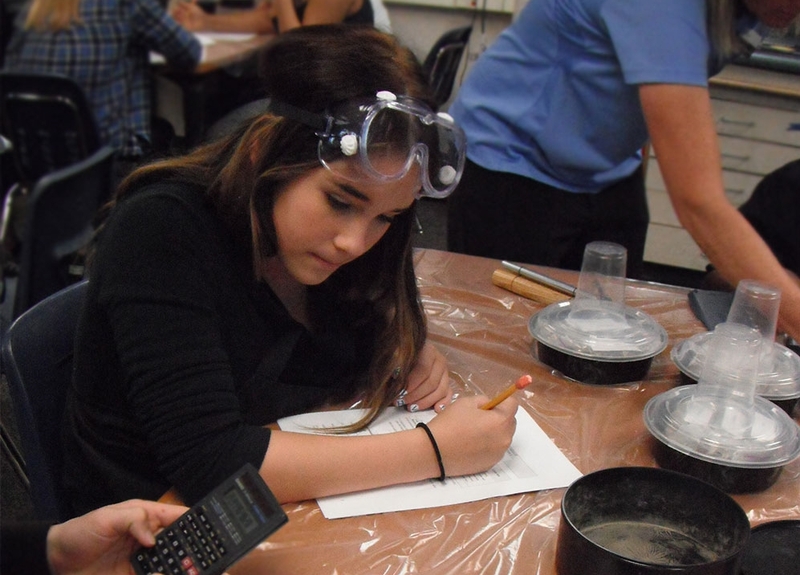 Project Cornerstone Visits Innovations Academy for Sieve Analysis and Concrete Making Activity — Project Cornerstone, Inc.
On November 13, 2014, Crystal Howard, Alyssa Burley and James DeCarolis from Project Cornerstone visited Innovations Academy in the Scripps Ranch area of San Diego. 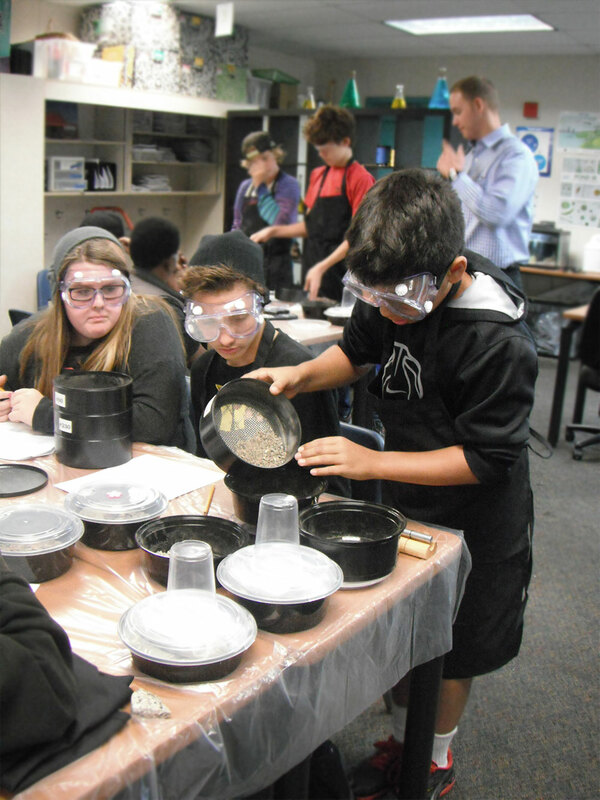 Mr. Wes Davis' seventh grade science class enjoyed the "Put the Sand Back in San Diego" presentation, a sieve analysis, and the concrete making activity. 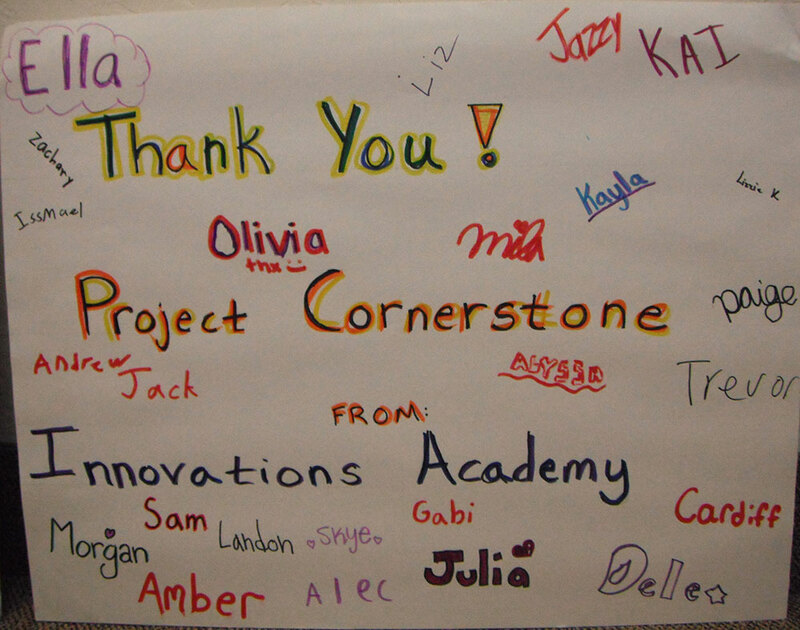 Students shared what they learned and enjoyed about the activity in a poster they made for Project Cornerstone. 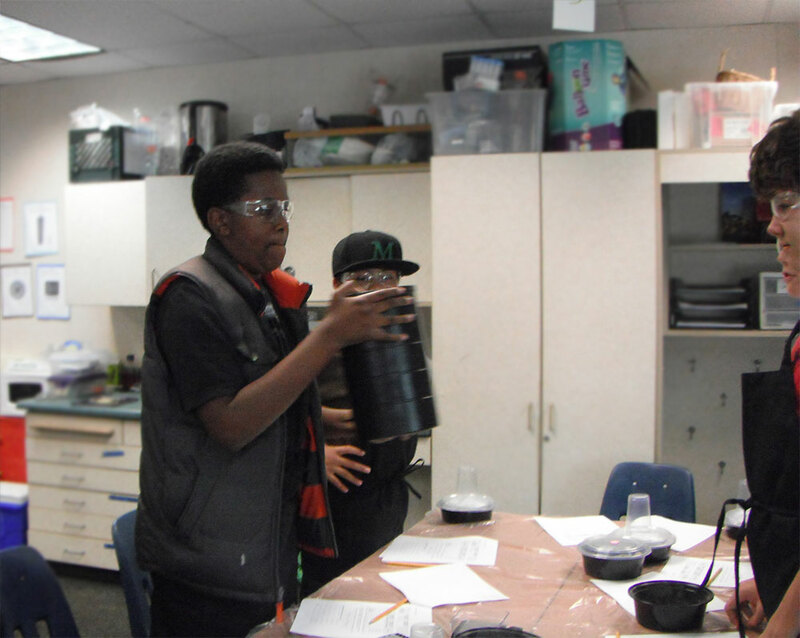 "I enjoyed making the concrete and learning the difference between concrete & cement." "I enjoyed the presentation and the concrete and decorating it!" "I enjoyed learning concrete is not the same as cement." "I enjoyed learning about the many different mines." "I enjoyed learning how to make concrete." "I loved when we made the concrete." "The different rocks and cement used for building." "The most important thing I learned is that most rocks in concrete comes from hidden mines. I enjoyed figuring out the sizes of different rocks." "Concrete and cement are different." "I liked making the concrete. I learned what the difference between cement and concrete." To request a visit from Project Cornerstone at your school, contact Alyssa Burley at alyssa@project-cornerstone.org or call (619) 284-8515.